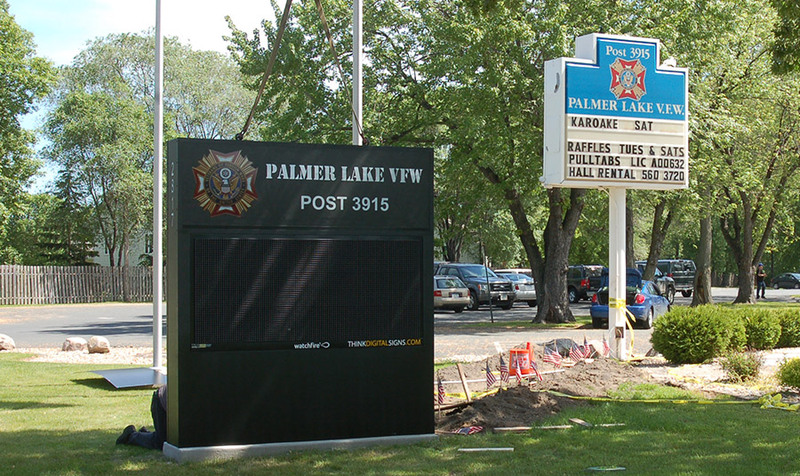 The Palmer Lake VFW Post # 3915 wanted to increase usage of the VFW to continue to provide support programs for veterans. 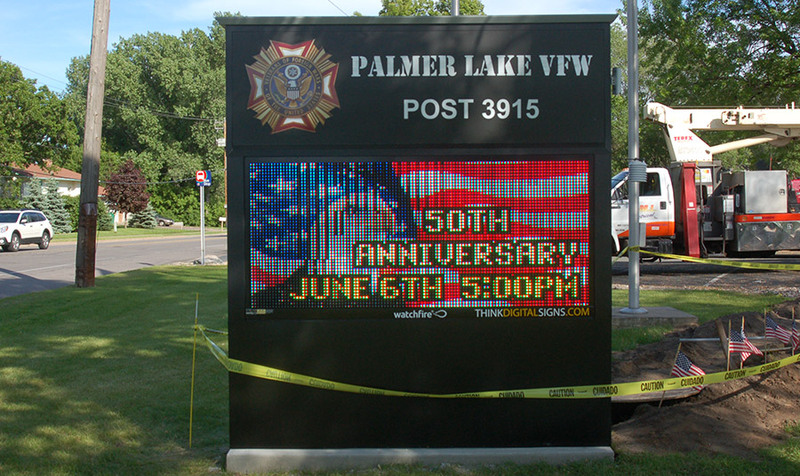 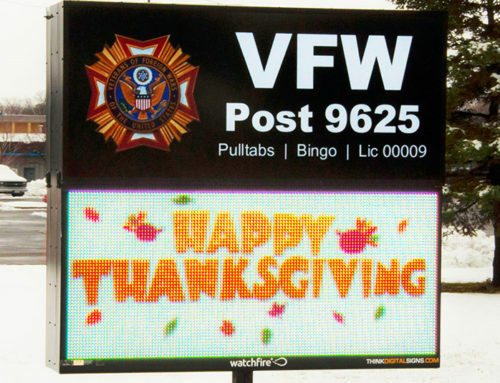 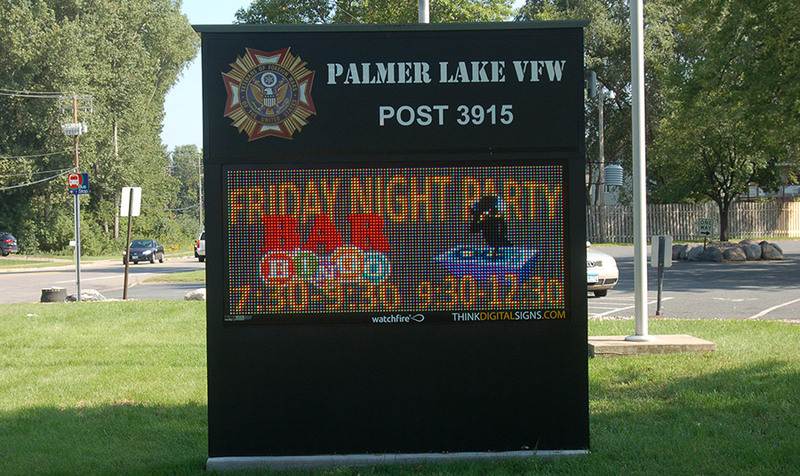 Think Digital Signs showed Palmer Lake how an electronic message center could be a great advertiser to veterans and non-members alike. 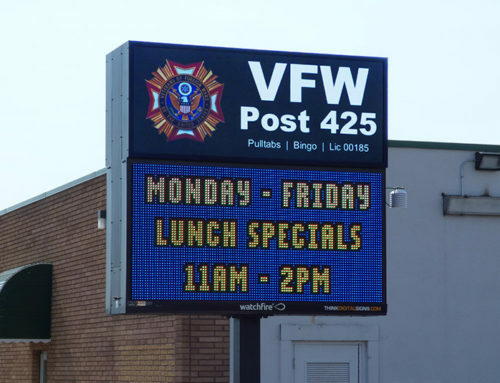 The city’s sign setback requirements didn’t allow the VFW to install the sign for maximum impact on passing traffic. 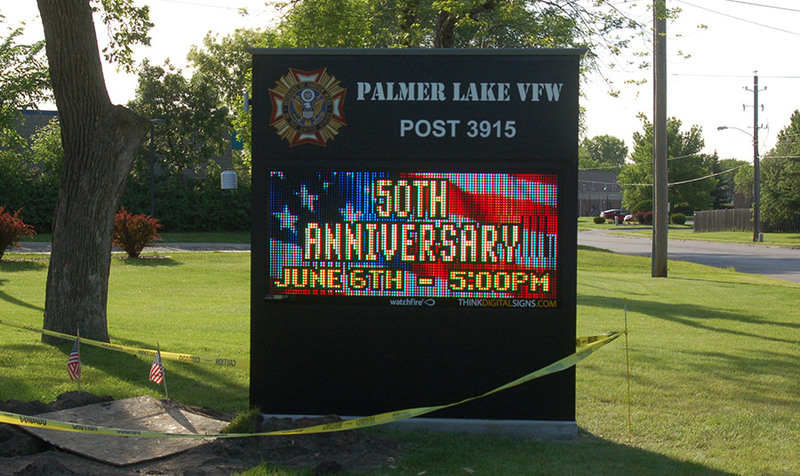 Think Digital Signs handled the permits and variance paperwork that were needed to obtain a sign that was right for Post # 3915. 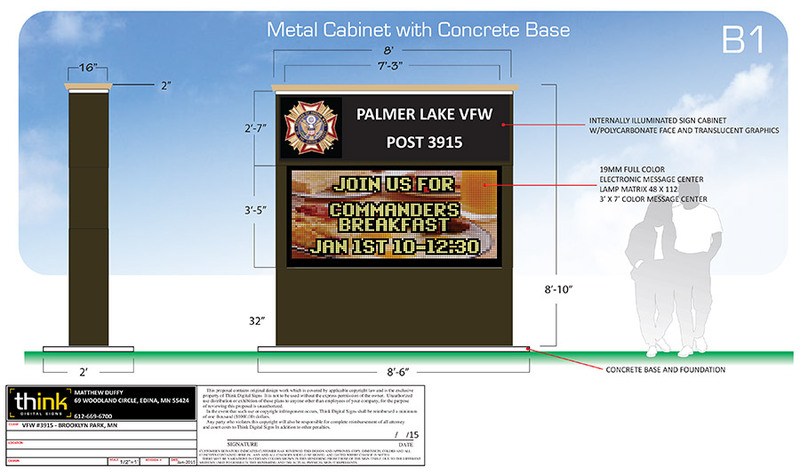 Palmer Lake has a new effective communication tool allowing them to compete in a crowded food and beverage service industry.